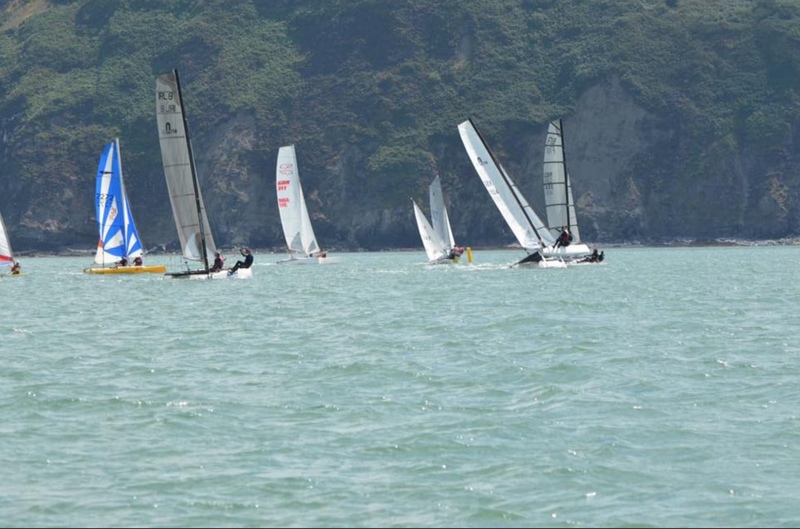 There will be handicap racing around the cans off Tresaith Beach over the Saturday and Sunday for all dinghies and catamarans from Oppies, Toppers and 420s to Darts, Spitfires, Hurricanes and F18s. All sailing boats welcome. All catamarans will be eligible to compete for the Welsh National Catamaran Championship prize. Prizes also for best dinghy etc. 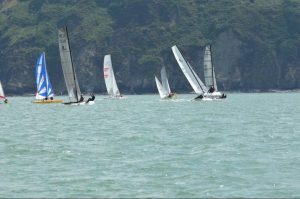 Sailed: 3, Discards: 1, To count: 2, Entries: 9, Scoring system: PY, (J) denotes sailors under 18years. Tresaith Beach Party with marquee, live band and beach bar (REAL ALES), sandcastle competition, hog roast etc. All welcome, you don’t need to be a sailor to come and party the night away on our sand dance floor! BackTrax are confirmed to play on Saturday 19th August.